SCVHistory.com LW3336 | Nicholas Hart Family (Son William S. Hart), 1880 U.S. Census, New York. 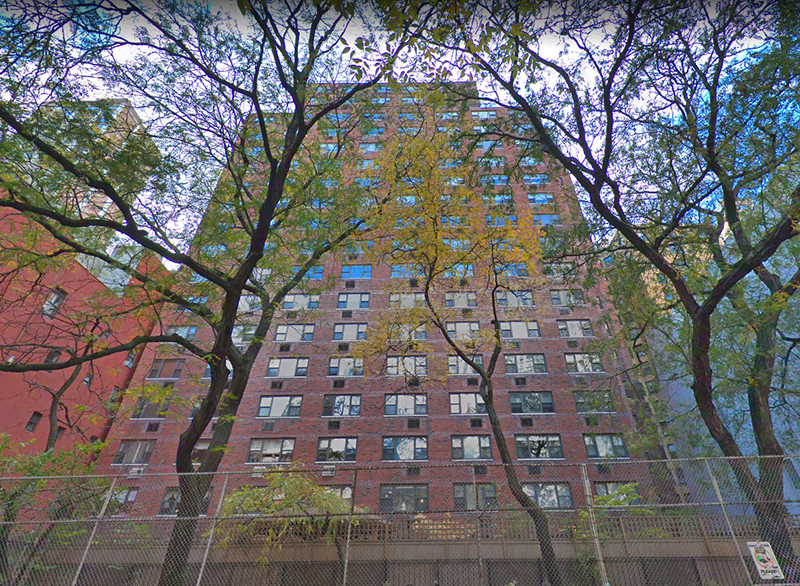 Approximate location of 312 East 73rd Street today. Click to enlarge. 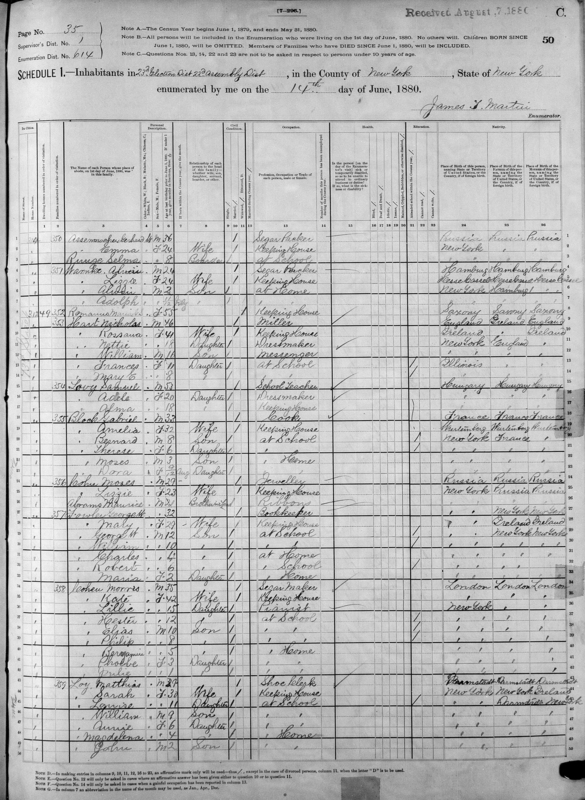 The 1880 U.S. Census for the County of New York (which is contiguous with Manhattan) shows the Nicholas Hart family living in an apartment at 312 East 73rd Street on the Upper East Side. The address no longer exists, but if it did, it would be approximately where this brownstone stands (inset). The parents are Nicholas, 46, a miller, born in England; and Rossana, 41, housewife, born in Ireland. William's listed age is 16 — 1880 minus 1864 is 16 — but he was born in December of 1864, and the Census was taken in June of 1880, when he was only 15½. His siblings — three girls — are Nettie, 18, a dressmaker, born in New York; Frances, 11, born in Illinois; and Bill's favorite little sister Mary Ellen, 8 (Illinois), whom he would care for later in life. We're unsure where this address fits into Bill's timeline. It doesn't seem to appear in secondary sources, including Bill's own autobiography. The family was extremely poor. Nicholas traveled from town to town in New York and throughout the Midwest building and repairing flour mills. The family traveled with him until about this time (1880) when Rosanna took ill and Nicholas sustained an injury that rendered him incapable of working for several weeks. After that, the family remained in New York, regardless of where Nicholas' work took him. It's notable that Frances and Mary Ellen were in school. Bill didn't have much formal schooling because, he says in his autobiography, the family couldn't afford books. Instead he supplemented the family income by taking jobs as a messenger — as noted in the Census — for hotels, a butcher, a tailor and other local business concerns wherever they lived in the New York area. The Everett House, the Hart family home for two years — probably sometime after they lived at the address shown in the 1880 Census. Click to enlarge. Where they lived in New York was a lot of places. Perhaps they lived at 312 East 73rd Street before they landed at the Everett House, 37 East 17th Street in Gramercy Park, where they remained for a relatively long time — two years. 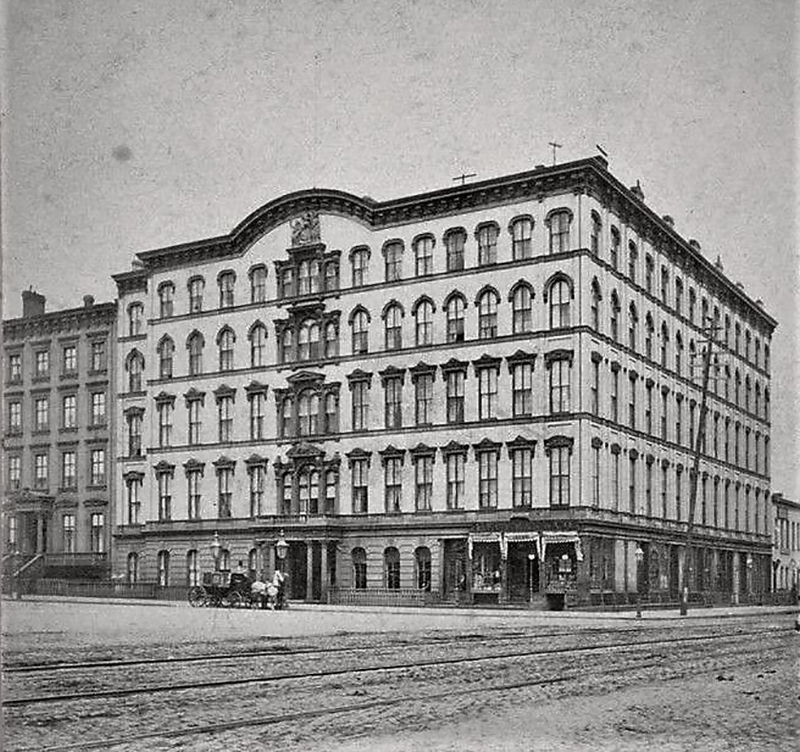 The Everett House, at Seventeenth Street and Fourth Avenue, and the Clarendon Hotel, one block above, were under the same management. The former was my home for the next two years. I was the messenger boy for both hotels. My duties were to make two trips daily to the general post office for mail, and do such other errands as were required between the hours of 7 a.m. and 7 p.m. My salary was seven dollars and twenty cents a month. Carrying messages for guests when not performing my usual duties raised this amount considerably. The telephone had not yet been extensively installed. They were lucrative days for the messenger boys. I quite frequently did errands for the hotel clerks and bartenders, and in return they gave me passes for theaters. ... I once carried a huge bouquet for Clara Morris to Sarah Bernhardt on her opening at Booth's Theater. The Madame pinched my cheeks and said, "How red they are." Young Bill was so capitivated by the people and plays he experienced at the theater that — well, you know the rest of the story. LW3336: 9600 dpi jpeg. Online only.